Chanteur Rockabilly US né le 3 février 1933 à Essington (Pennsylvanie). 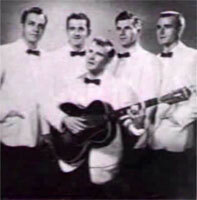 Ray Coleman a débuté au milieu des années quarante et se passionne pour Bill Haley à partir de 1954. Remarqué par Rex Zario, il enregistre en 1957 sur Arcade (57), Saliano (58) et Skyrockets Records( 59). 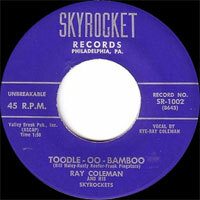 Attiré par la musique de Bill, Ray, accompagné de ses "Skyrockets", fait alors du Rockabilly avec fiddle chez Arcade Records. Ray Coleman était devenu un chanteur Country très attachant. Il est mort en 1985 à l'âge de 57 ans. US Rockabilly singer born on February 3, 1933 in Essington (Pennsylvania). 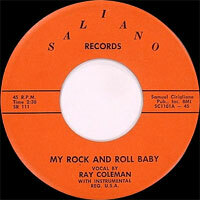 Ray Coleman began in the medium from the Forties and impassions itself for Bill Haley since 1954. 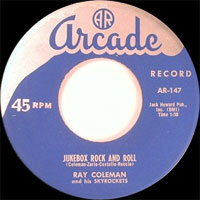 Noticed by Rex Zario, it records in 1957 on Arcade (57), Saliano (58) and Skyrockets Records(59). Attracted by the music of Bill, Ray, accompanied by his " Skyrockets ", makes then of Rockabilly with fiddle at Arcade Records. Ray Coleman had become a Country singer very attaching. He died in 1985 at the 57 years age.